We have keen coaches and coaches interested if enough athlete interest to form a second team. 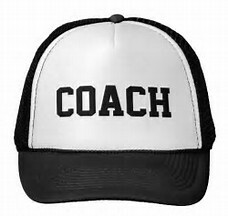 Please fill in the Rep Coach Application, the Volunteer application and as per policy, submit your coaching resume/coach philosophy separately should the application not provide adequate space. ALL forms can be found on our website. Should you have preferred coaching partners, or if you prefer to be an assistant coach, please note in your email or on your forms. It’s an exciting year - as we are HOSTING Provincials. Thank you for supporting Medicine Hat Fastpitch!